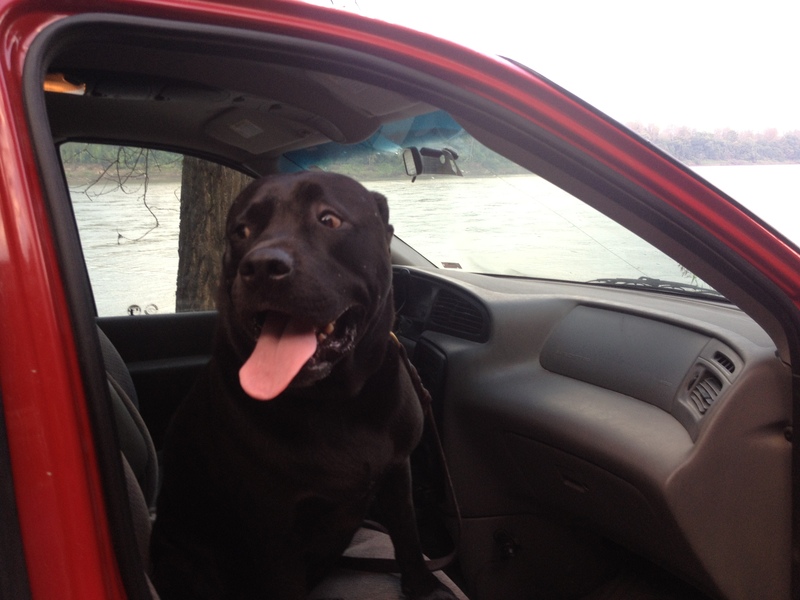 I left a warm flock of river friends at Cooper’s Landing on April 14, headed for Montana. My daughter, Haley Moreland, and dear friend, Jeannie Kuntz, a.k.a., the LoveYourBigMuddy Support Team, traveled with me for six days before arriving in Livingston, MT, at the home of Norm Miller and Kristin Walker, a.k.a, Base Camp International, on April 20. 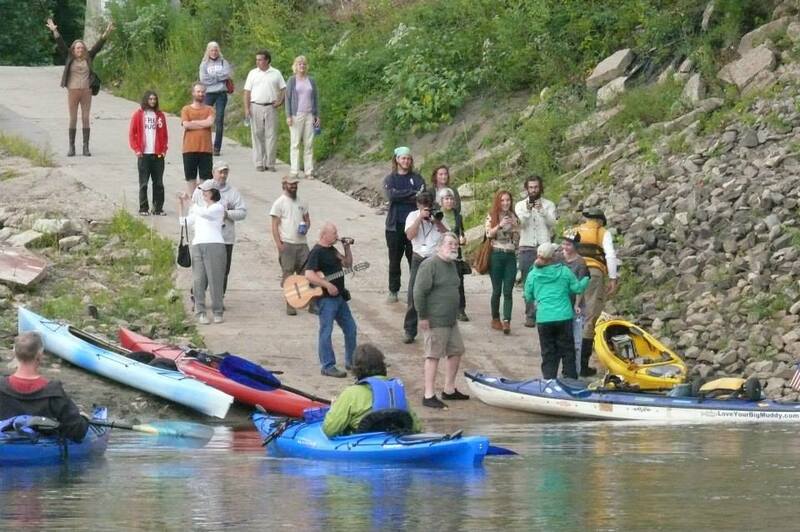 Nearly 5 months to the day, on September 16, I paddled into Cooper’s Landing to the warm arms and paddles of my friends and family, and reporters, too. 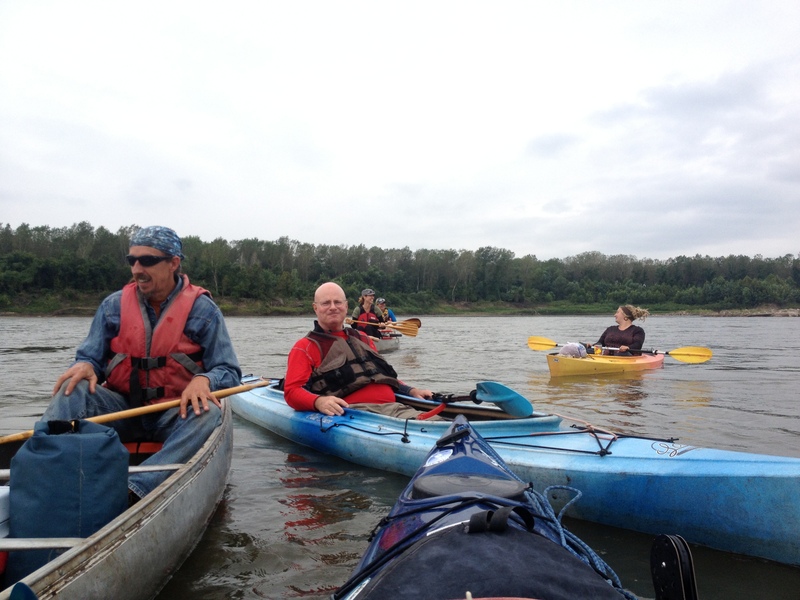 Oh, what a wonderful day this was to celebrate completing two thirds of this Missouri River Source-to-Sea Expedition. 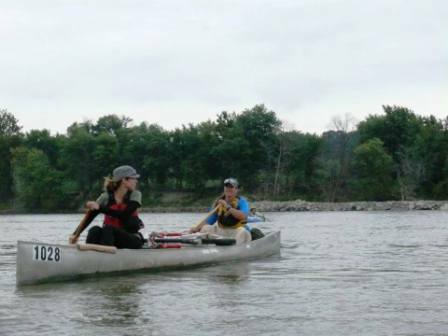 Originally, I planned to paddle from St. Louis to the Gulf of Mexico in 2014. I changed my mind while paddling across Lake Francis Case. Yep, paddle through to the Gulf. It just makes sense. Well, it took a little while to evaluate the change in plan, and in the end, I decided it was the right thing to do. So, I am taking a week-long break to tend to numerous tasks, preparations, and responsibilities (The week has passed and tomorrow I launch already, Wednesday, September 25). 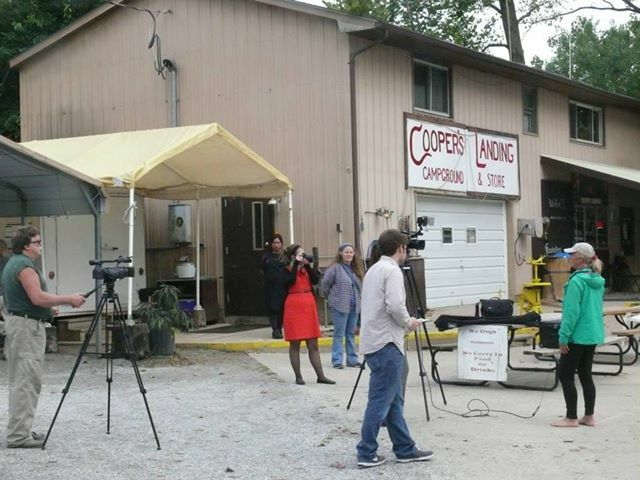 My landing at Cooper’s Landing made it in the Columbia Daily Tribune. 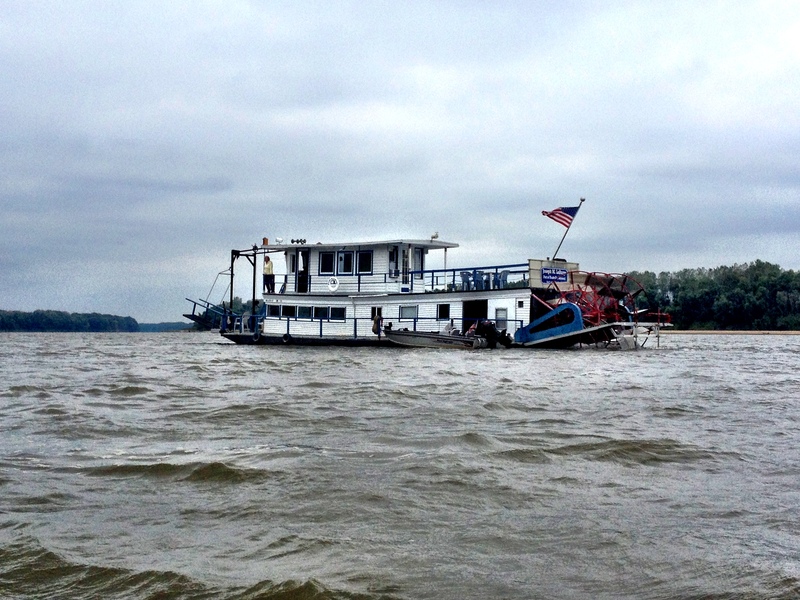 As I came a’paddlin’ down the river, I saw Roger and Barb Giles’ sternwheeler way off in the distance. I thought maybe I was looking at a rock outcropping on the bank, but no, it was the sternwheeler. They reached me just above Rocheport and honored me with a cannon shot in the air. Wow! Feeling pretty special. Then, a mother and her three children were standing on the bank of the river hooping and hollering for me and the expedition. They were enthusiastic and excited. That got me excited. We exchanged hand waves. 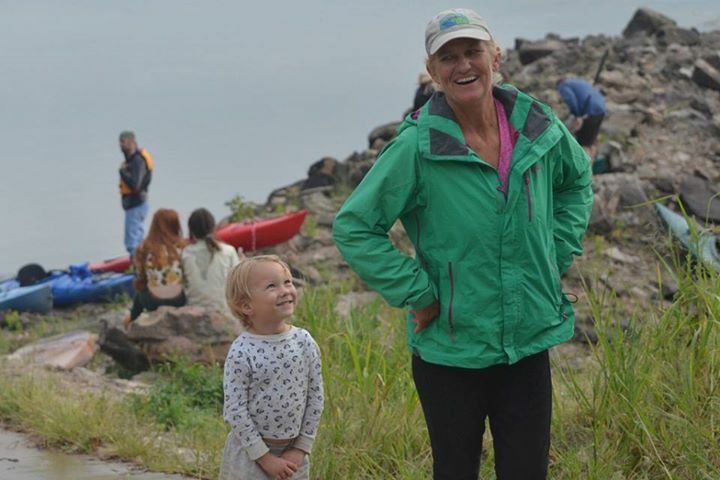 This little girl was one of the children waving as I paddled by. An indiscreet canoe with two shady characters paddled nearby. “Hey, I think I know you! Are you Jodi and Megan??? Well, yes you are, I know you!” Finally, these two pirate-ettes turned around and smiled. I had just met Megan in Glasgow when Scott and I camped. We all went out to dinner together. 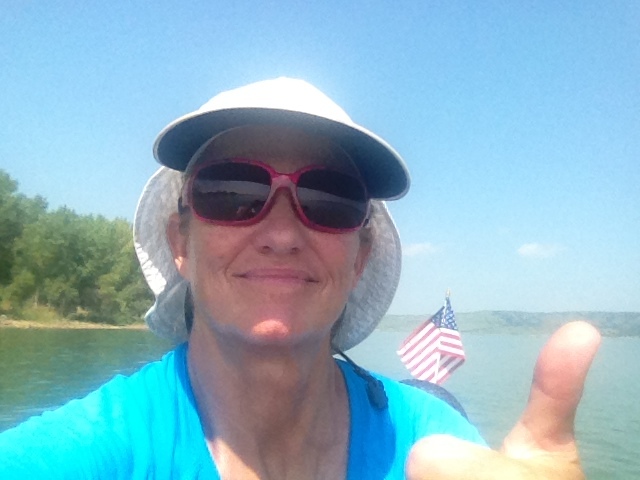 And, Jodi is an active volunteer for Missouri River Relief. Fantastic! We paddled together downstream. Soon, we approached Airplane Island, across the river from the Huntsdale Ramp. I knew Steve Schnarr and Melanie Cheney were waiting for me at the island. I could see them. Great. However, they were only decoys for what suprise lay ahead. 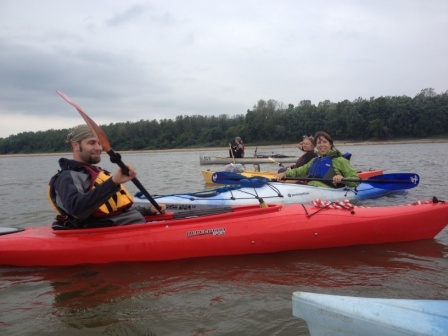 All of a sudden, kayaks and canoes came peeling out from behind a wing dike headed right for me. Oh my goodness! 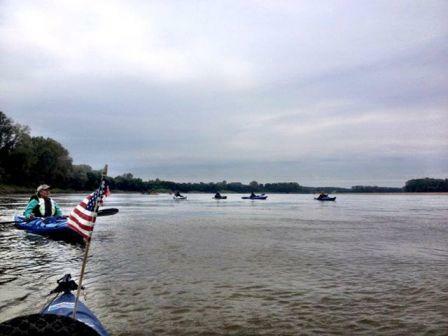 I was soon surrounded and taken down river to Cooper’s ramp, where a robust reception awaited. 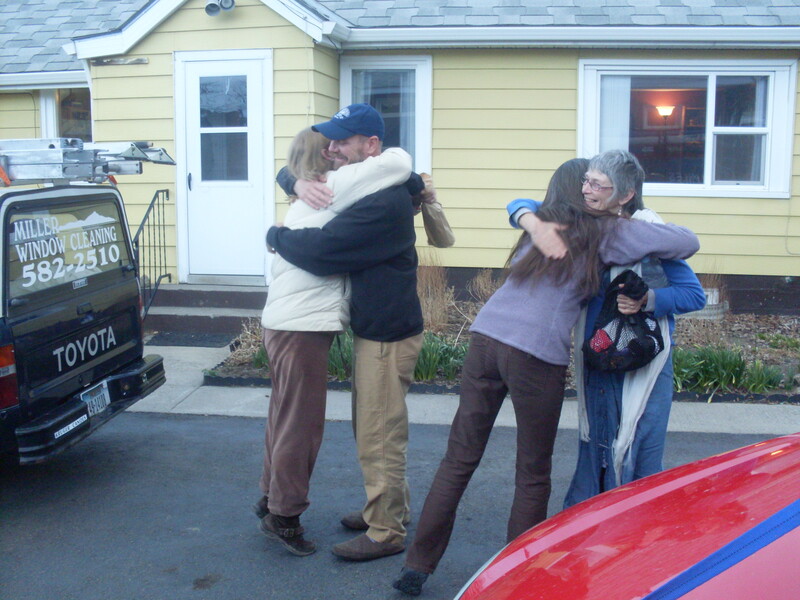 What a heart warming welcome. A fabulous reception and party ensued. This was a memorable day on the expedition. 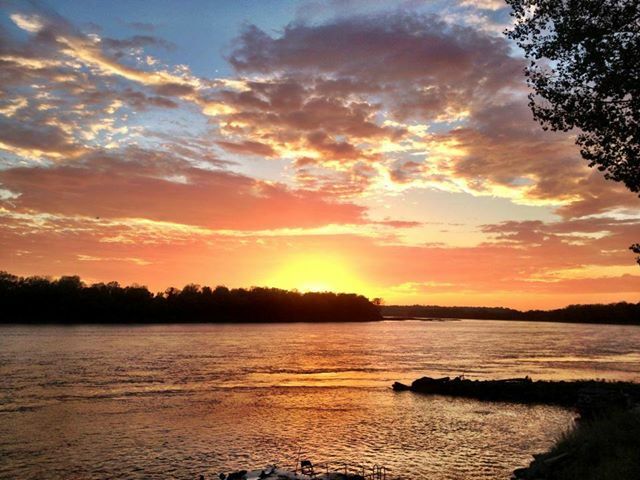 I live within one of the greatest river communities along the Big Muddy. I am so proud. Since my arrival, I have been interviewing, repairing gear, dealing with pet issues, visiting friends (a little), spending time with family, attending Scott’s victory finish, updating my journal, cleaning the house, dehydrating veggies, restocking food, organizing photos, washing clothes, paying bills, and researching river maps and websites. I still have lots to do. I want to clean the boat, reorganize my load, replace rudder cables, apply new keel strip, update the blog, understand my GPS, read, and purchase gear, such as a marine radio for communicating with tugs and freighters. 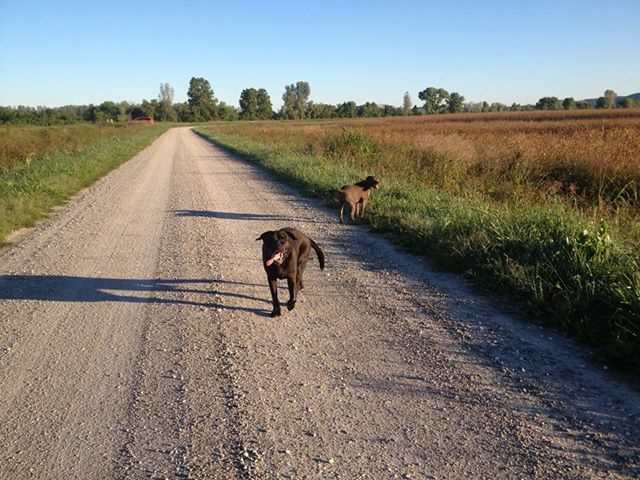 Oh, and take the dogs for a walk down by the river. 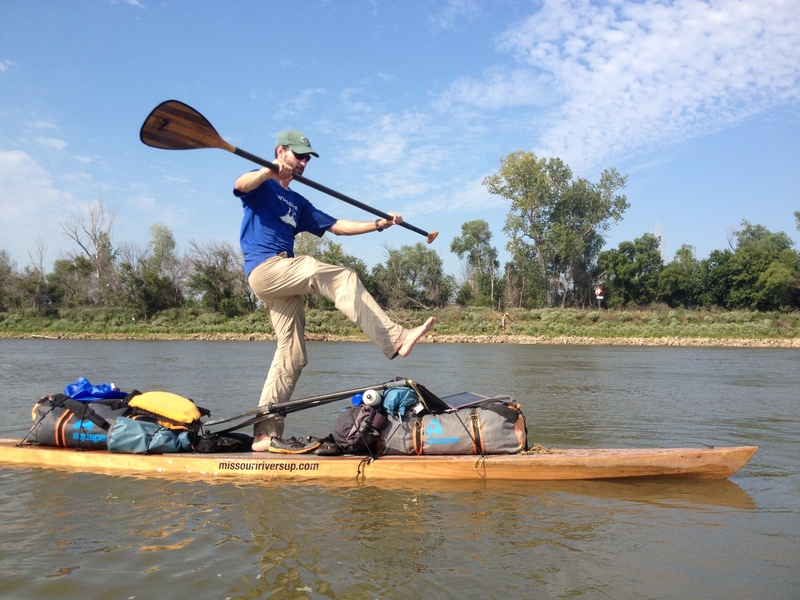 I am very excited to be heading out to paddle the Mississippi River. Both of my brothers worked on tugboats back in the 70s. One brother used to tell me to get a job on a tug as a cook. He LOVED working as a deck hand. I was too young, I thought, at 19. At 25 y/o I got a job cooking on a purse seine boat in SE Alaska one summer/fall season. After that experience, I went back to STL and tried to get a job on a tug as a cook. This was in the mid-80s, and their was a drastic reduction in barge traffic with grain embargoes in the south. It is time, at last, to meet the Mississippi. 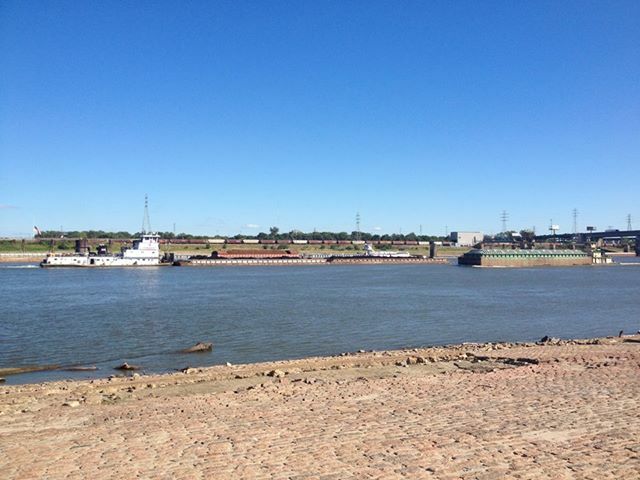 Barges on the Mississippi, taken when I went to St. Louis, September 21, to celebrate Scott Mestrezat’s successful journey as the first Stand Up Paddleboarder to navigate the entire Missouri River, 2300 miles! 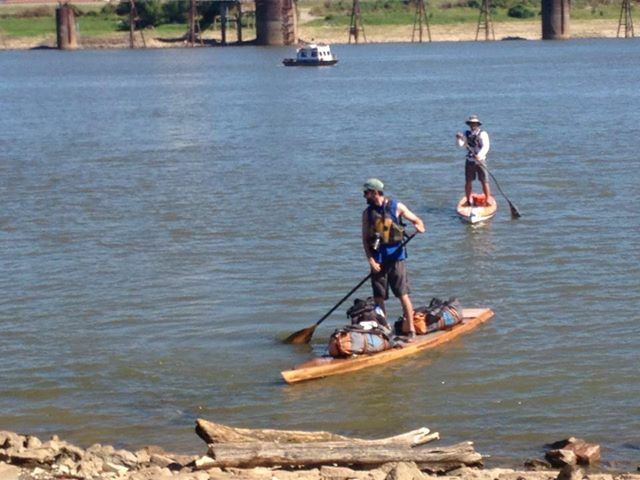 I really enjoyed driving to St. Louis with Haley to see Scott Mestrezat complete the first ever Stand Up Paddleboard (SUP) Expedition down the entire length of the Missouri River. 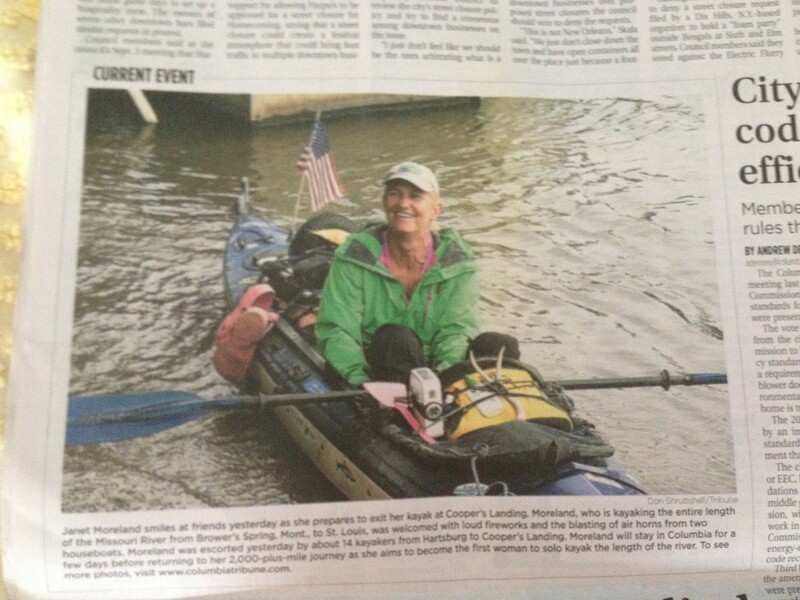 I was fortunate to have paddled many days with Scott, and I now consider him a dear friend. Congratulations, Scott! Well done, my friend. Scott was always good company. Entertaining, to say the least. I was also excited to see my other river brothers, Reed and Josh, with whom I was also fortunate enough to paddle several days on the river. They started at Three Forks and are heading down to the Gulf of Mexico. I will be just over a week behind them. We all share river blood, and I also consider them my brothers, even though I’m old enough to be their mother. Topping off a great visit to the big city was a quick visit with someone I admire greatly, and that is Shane Perrin, SUP paddler extraordinaire. 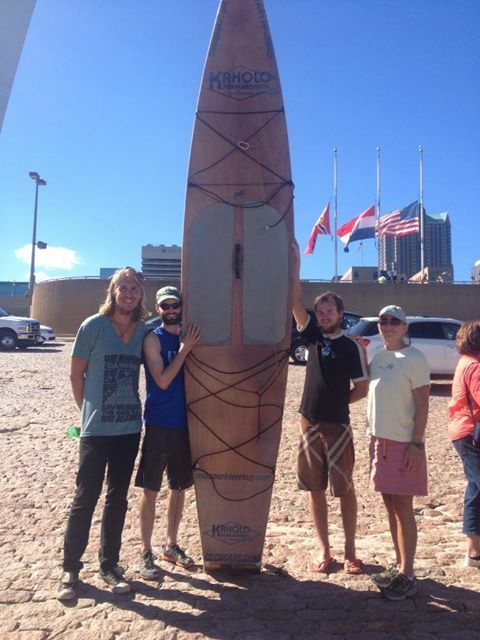 Scott Mestrezat landing his SUP in St. Louis after paddling 2300 miles. My river brothers, L-R, Josh, Scott, Reed, then me in St. Louis at Scott’s historic finish. Shane Perrin, whom I adore. 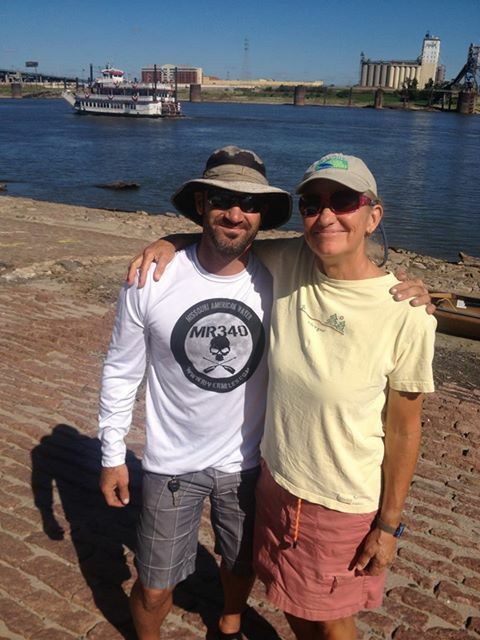 I will see him again when I paddle through St. Louis this week-end, September 29. He is planning to paddle with me a ways, and possibly put me up for the night. I look forward to meeting his family. Today is Tuesday, September 24, and I am shoving off tomorrow morning to finish off this last leg of my historic expedition. I have barely enough time to do everything needed, and so I anticipate this day and evening will fly by. Oh, it will be good to be back on the water. Life will be simple and rewarding for at least another five weeks. Oh what a trip it has been! can be found right here at home. I hope to fill in the rest of my trip as I am able. Thanks again for your patience. Janet, I never tire of reading about your epic journey…what a beautiful person you are and I’m so thankful that you are sharing this adventure with us and letting us see revel in your accomplishments made possible by your undaunted spirit, your courage, your tenacity, your perseverance, and commitment to and fulfillment of your dreams! 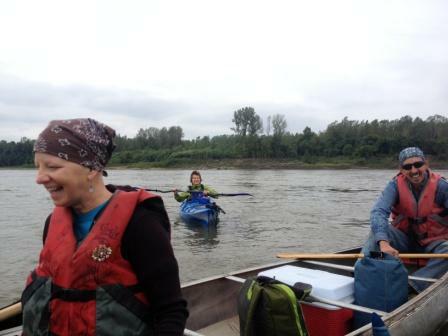 Paddle on to the Confluence and then on to the Gulf, sister! 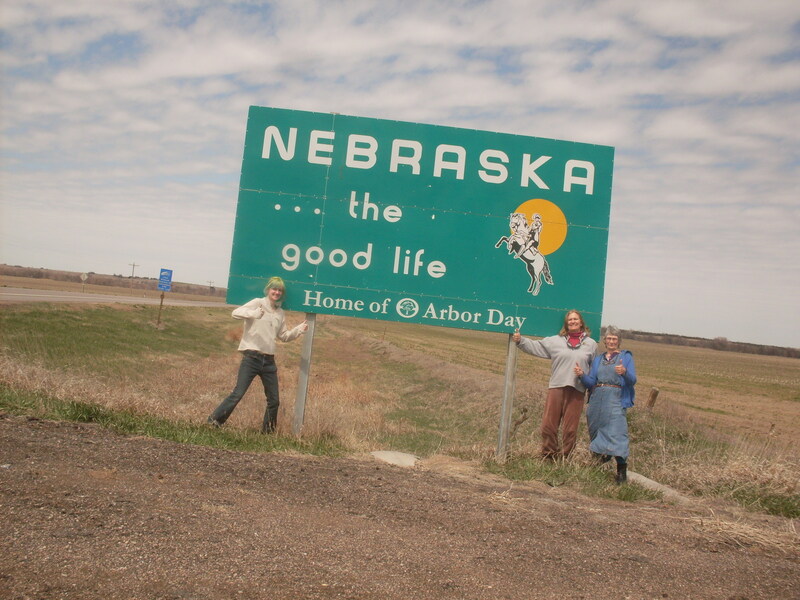 We are Luving U and Enjoy following this Grand Adventure!! Hope to See U Wed Am as U depart from Coopers..
Whoo whoo whoo!!!! Cheering you on lady. 🙂 We are all living vicariously through these posts and admire you so much. CONGRATULATIONS!!!!! 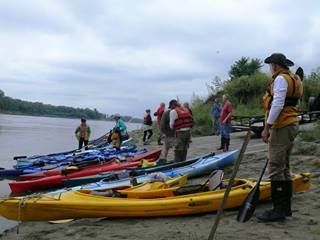 And good luck w/the next part of this huge adventure on the Mississippi! Safe journey & enjoy! Thanks Susie! I appreciate your well-wishes! I think Pennsylvania Power and Light sold the dams so you may have to research who is now running the show. Whatever the change, they should still be responsible for portaging you around the dam. You should try and find out who owns it now. I will also see what I can find out.